DECADENT THEATRE Company could hardly have timed its new staging of Stuart Carolan’s Defender Of The Faith any better, with its opening coming the night after the premiere of the latest series of Love/Hate, the TV show which Carolan created. This proximity highlights similarities between the two; like the TV series, Defender also features illegal organisations, suspicious bosses, jobs gone awry, people being ‘lifted’ and grilled by police, and the presence of informers. Instead of being set among modern Dublin criminals, Defender brings us into the badlands of 1980s Armagh and the dirty war between the IRA and British security forces. The action unfolds around a farmstead where choleric father Joe (Peter Gowen ), elder son Thomas (Michael Ford Fitzgerald ) and farmhand Barney (Lalor Roddy ) are all involved in IRA activity. Aside from the armed struggle, the household is also struggling to cope with the recent suicide of Thomas’s brother and the incarceration of their mother in a mental hospital. A recent IRA mission has been thwarted and trouble-shooter JJ (Diarmuid de Faoite ) arrives from Belfast to sniff out any possible ‘tout’. The opening scenes are marked by Martin McDonagh-esque exchanges about Biggles and Pádraic Pearse but as the play progresses the comedy yields to increasing tension as JJ seeks to uncover the informer. The sense of pervasive paranoia, of not being able to trust one’s closest comrades is strongly established. The play’s title alludes to Henry VIII, who was named ‘Defender of the Faith’ by the Pope shortly before he abandoned Catholicism and became a Protestant. 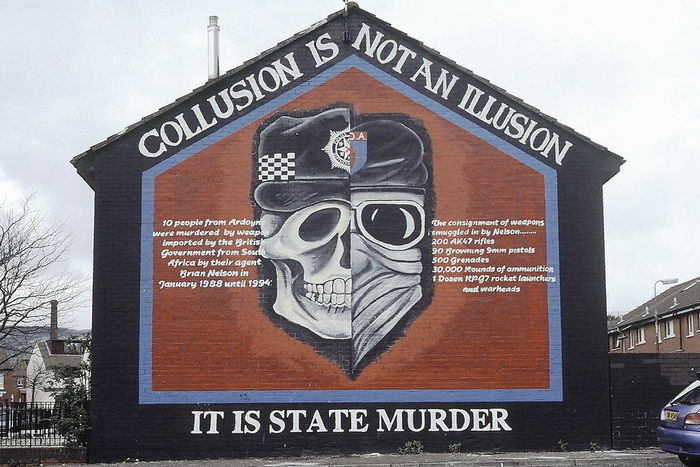 Carolan shows that the defenders of the IRA faith could prove similarly unreliable. In Act II the search for, and revelation of, informers becomes unrelenting, maybe more so than best serves the play - a little respite from tension or variation of tone would not have gone astray. Nevertheless it remains a potent piece of theatre, one which makes me hope Carolan has not been entirely lost to television, despite his considerable success in that milieu. Director Andrew Flynn and Decadent give the play a superb production. Owen MacCarthaigh’s impressive set serves as both kitchen interior then swivels round to become external farmyard. Carl Kennedy furnishes a distinctive, electronic, brooding, and tense sound design. There are also fine performances from the entire cast, including, as well as those already mentioned, David Martin as younger brother Danny and Anthony Brophy as the sinister ‘Man’.